Don Winans, Boller and Chivens Telescope Assembly Supervisor in L & F Industries’ high bay assembly building. 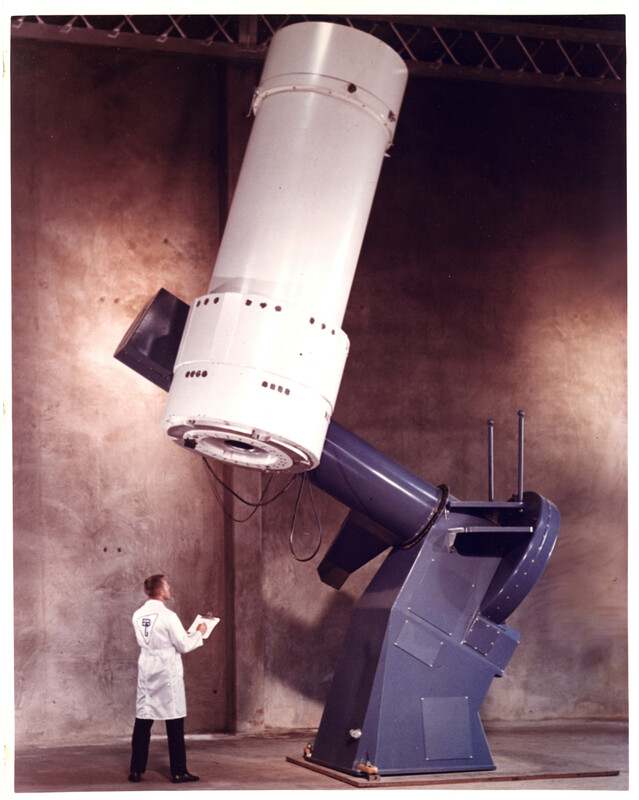 Future 36″, 40″, and 48″ telescopes were assembled at South Pasadena plant. 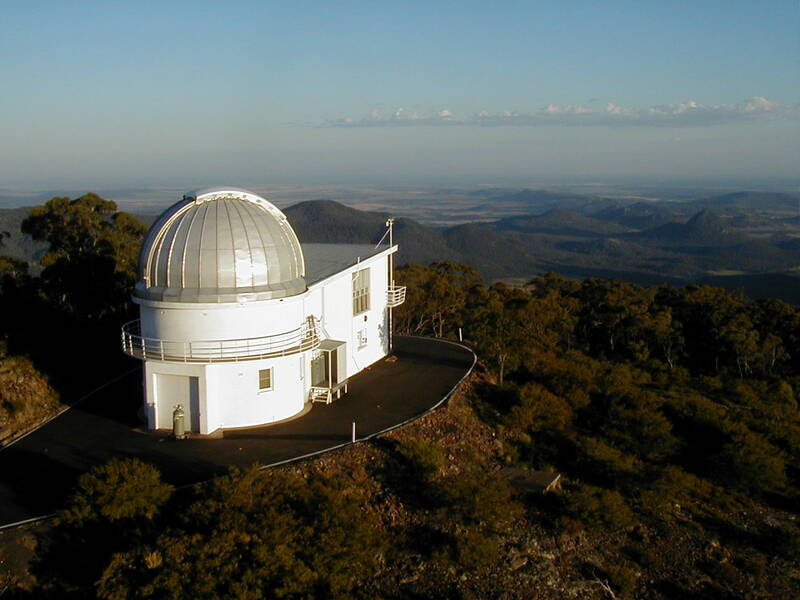 In the early 1960s, the Australian National University established a new astronomical site at Siding Spring in central New South Wales, partly in the expectation that it would provide somewhat clearer skies than those at Mount Stromlo, and partly to escape the increasing light pollution of the growing Canberra. The selection of Siding Spring followed an extensive site-testing programmer organized by the then Director, Bart Bok. The new site was instrumented with three reflectors of modest size, all made by Boller & Chivens. The 40-inch is the largest of the three. The other two being a 24-inch and a 16-inch. It has proved a useful instrument especially for photometric and imaging work. 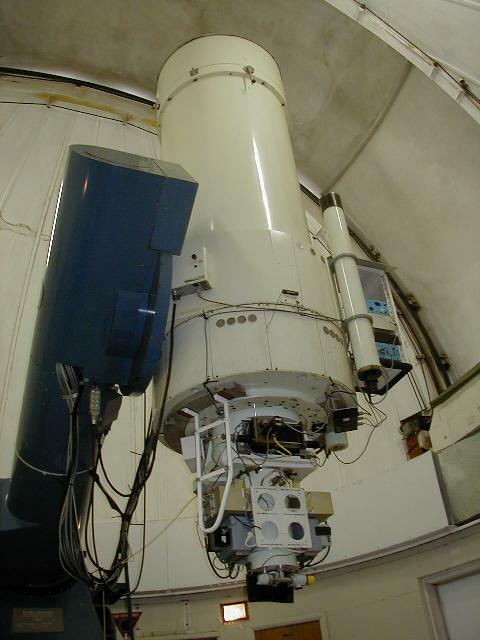 For more information about this telescope, visit the ANU Research School of Astronomy. Thank you so much for this information. Don, the former employee of Boller and Chivens who started this site, said that was his first big installation job. Thank you, too, for the link to the current site. 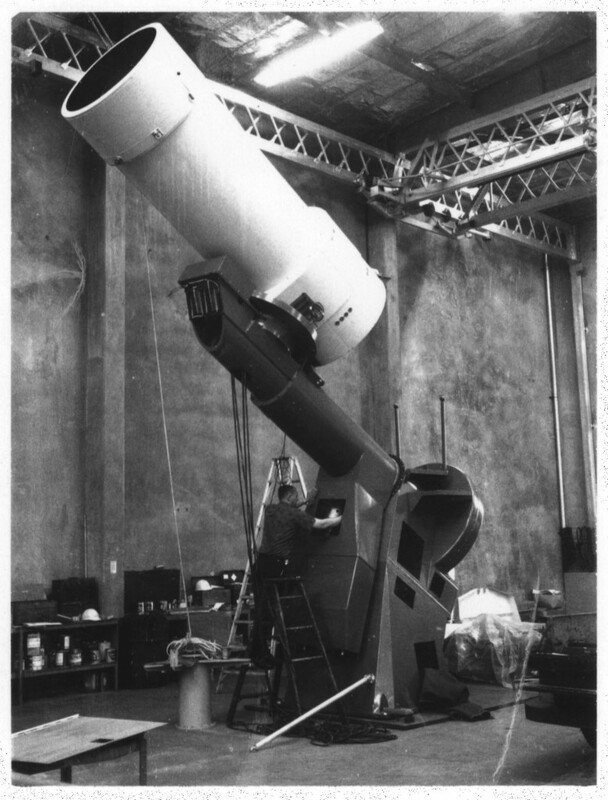 Any idea what the total weight is for this setup ( weight of the Optical Tube Assembly + weight equatorial cross-axis mount ). It looks like the telescope swa first light in Oktober 1964 at Siding Spring and April 2012 at Milroy Observatory.